A.F. Branco Cartoon - Holey Testimony! A.F. 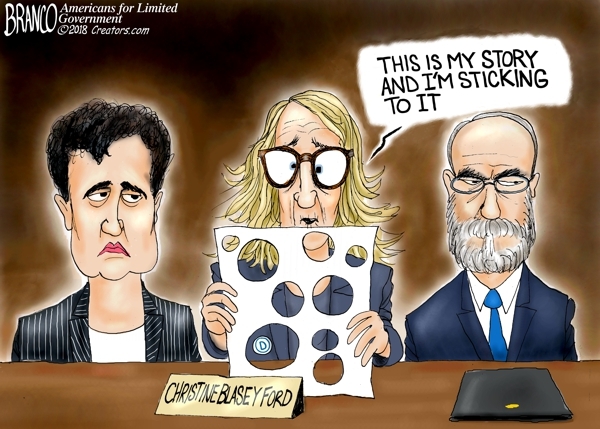 Branco Cartoon – Holey Testimony! The FBI investigation revealed that Christine Blasey Ford’s testimony is still full of holes. Political Cartoon by A.F. Branco ©2018.